Do you love cheesecake? Do you love Caramel? Well you have come to the right place! These cupcakes are “healthier” than the average cupcakes. This recipe comes from The California Country Gal’s Cookbook, “Sweet Secret’s” written by Annabelle Lee. This cookbook caters to Paleo Friendly, Low Glycemic, and just delicious recipes! Annabelle has a wealth of information explaining how you can have whole foods cupcakes that are delicious and still good for you. Some of the ingredients I had never heard of before such as Erythritol, it’s a sweetener that is low on the glycemic index, and great for diabetics. Since I am all about creating recipes with ingredients that I have on hand, I remembered that I had Xylitol, which is still lower than cane sugar on the glycemic index. I replaced Xylitol for Erythritol. ( Another sweetener that is zero carbs and low on the glycemic index.) The cheesecakes came out delicious, they are lighter in texture than most dense cheesecakes. The caramel sauce is a perfect addition, drizzle it on the plate and then over the cheesecakes when serving, for a pretty presentation. Now on to the giveaway! You could win a SWEET SECRETS COOKBOOK just by entering my Rafflecopter! Position oven rack to middle portion of oven. Preheat oven to 375 degrees. In food processor fitted with S blade, add all of the ingredients and blend smooth. Divide batter on top of the crust. Bake for 12 minutes, then turn oven down to 325 degrees and bake another 15 minutes. Return to the oven and bake for another 5 minutes. Turn off the oven and crack the oven door. Let rest about an hour before refrigerating. Combine ingredients in a small saucepan and stir over medium heat until sugar is dissolved. Cover and allow to boil, without stirring, for about 3 minutes, the steam will wash down the sides of the pan. Uncover and let boil another few minutes. The caramel will thicken as it cools. If you wish to use a candy thermometer allow it to reach 238 degrees, the softball stage. My caramel isn’t dark like Annabelle’s, but it is still delicious! This cheesecake is delicious with fruit too! My favorite cuppycake is Boston Creme Pie Cupcakes. Yum! My favorite cupcake is pink champagne with custard filling and raspberry icing! My favorite cupcake is anything and everything chocolate! 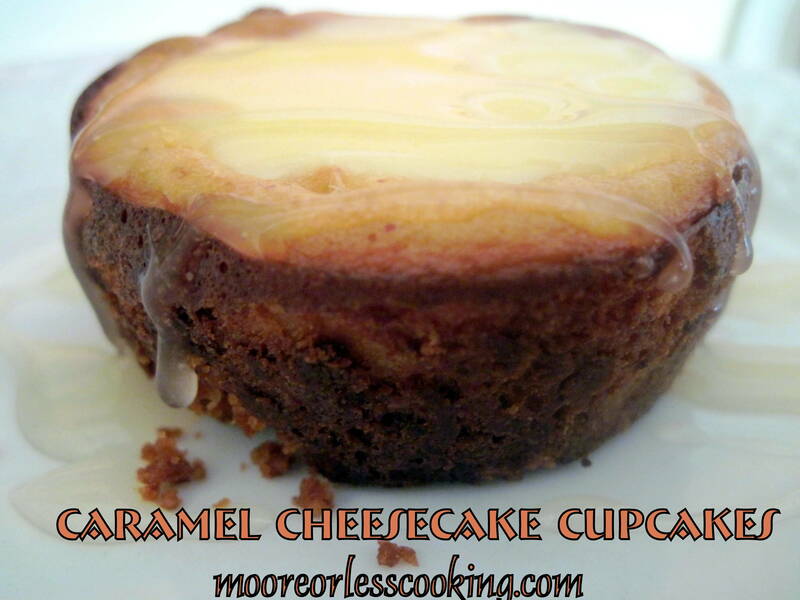 Cheesecake cupcakes are my favorite! My favorite cupcake is chocolate… especially with some kind of filling. I love peanut butter chocolate cupcakes! Easily converted to gluten free and citris free, my two concerns. Thanx.. Enjoy!! I hope you win the cookbook, you would love it!! Salted caramel, Grand Marnier, or Meyer lemon. Well, really, ANY cupcake! So do I, it is my weakness! My favorite is black forest cheesecake cupcake. Love all kinds of cupcakes. Happy Thanksgiving Nettie! My favorite cupcake is a vanilla bean cake base made from scratch with a vivid purple buttercream that has pulverized, freeze dried blueberries. It’s gorgeous to look at, fun to make & the frosting color is super cool. My family loves them. My favorite cupcakes come from Kendra’s Crafty Cakes, any of her’s are amazing!